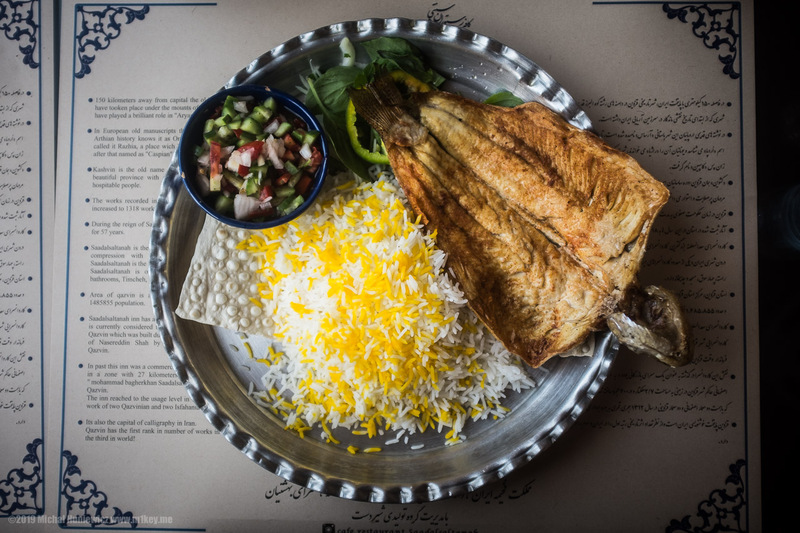 This is my final stab at my Iran photos. I started preparing for the trip about three years ago, and I went about a year and a half ago, so it's time to wrap it up. You may want to check out my earlier Iran photo albums: Journey through Persia #1, Journey through Persia #2, Women of Iran (with an introduction to Persia and Iran), and Ashura (on Iran's Islamic festival of grief). Or, if you like long reads, the Iranian Revolution. 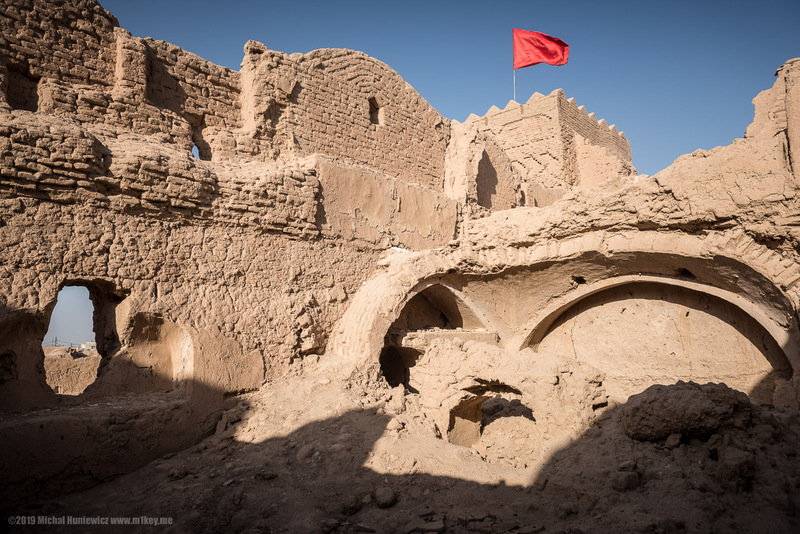 The places I liked the most were the dusty, desolate edifices of antiquity like this one, the pre-Islamic Sar Castle. ISO 250, 23mm, f/5.6, 1/60s. 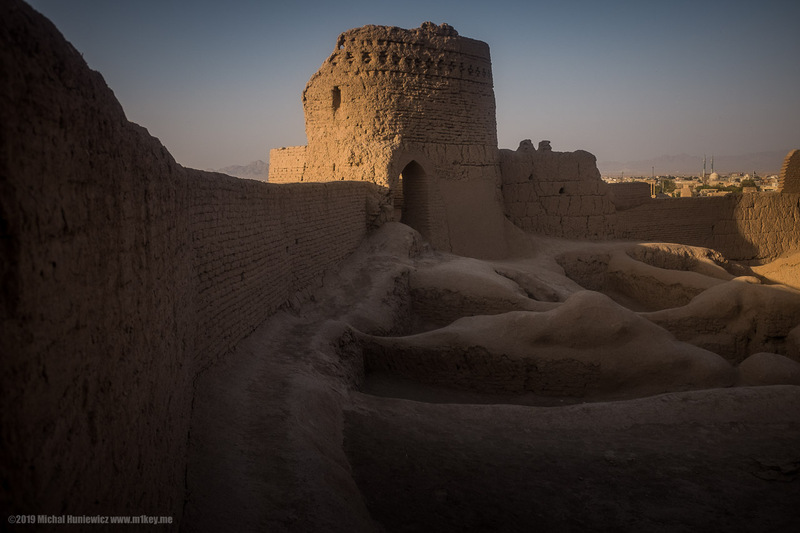 The ancient Silk Road cities of the Islamic era were equally magical. ISO 100, 24mm, f/5.6, 1/640s. 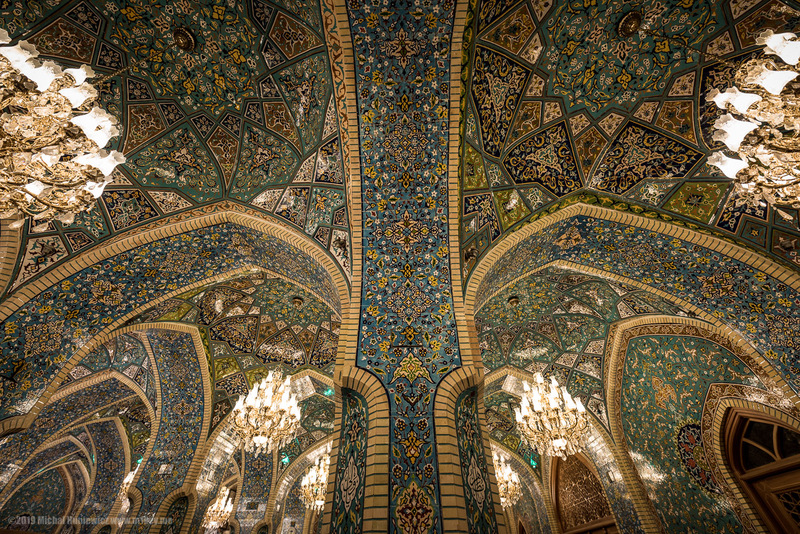 On the Islamic front, though, I think I felt the architecure of Uzbekistan more. ISO 200, 23mm, f/4.0, 1/850s. 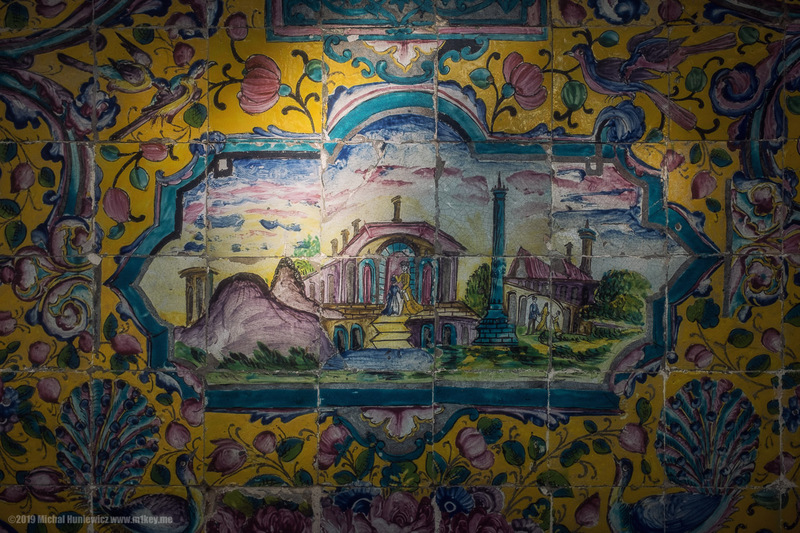 Here's a detail of the Golestan Palace in Tehran. ISO 140, 24mm, f/5.6, 1/50s. 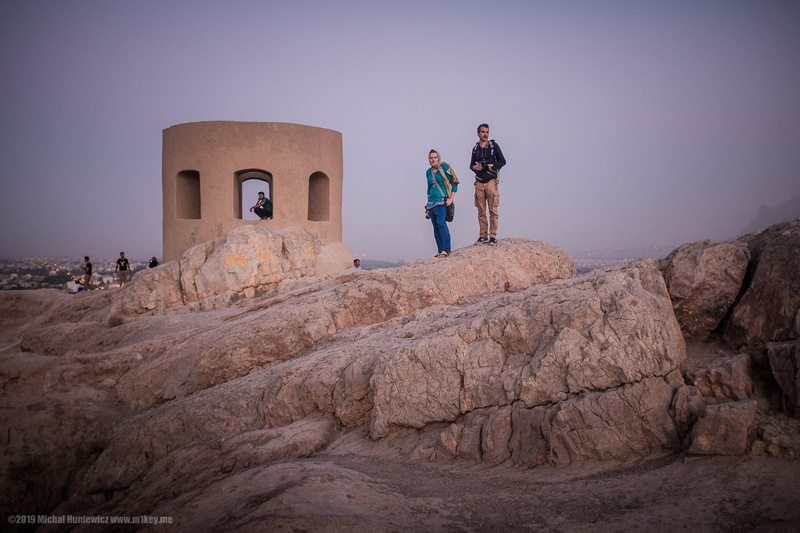 Elham became our good friend, and showed us a lot around Tehran. ISO 2000, 50mm, f/1.4, 1/50s. The food was so monotonous, more so than in Lebanon. I almost became vegetarian. The fish you see here was a welcome change. ISO 200, 23mm, f/2.0, 1/320s. The Assassins castle we visited earlier. ISO 200, 23mm, f/5.6, 1/850s. 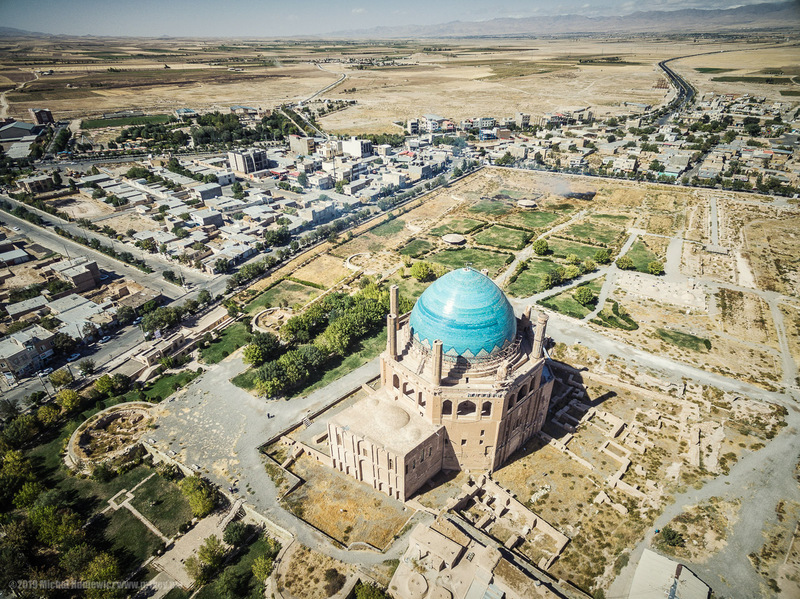 This is the Il-khan Öljeitü Mausoleum, apparently of Azeri style. While very rich in decoration, it had an interesting, subdued colour scheme. ISO 200, 23mm, f/4.0, 1/320s. 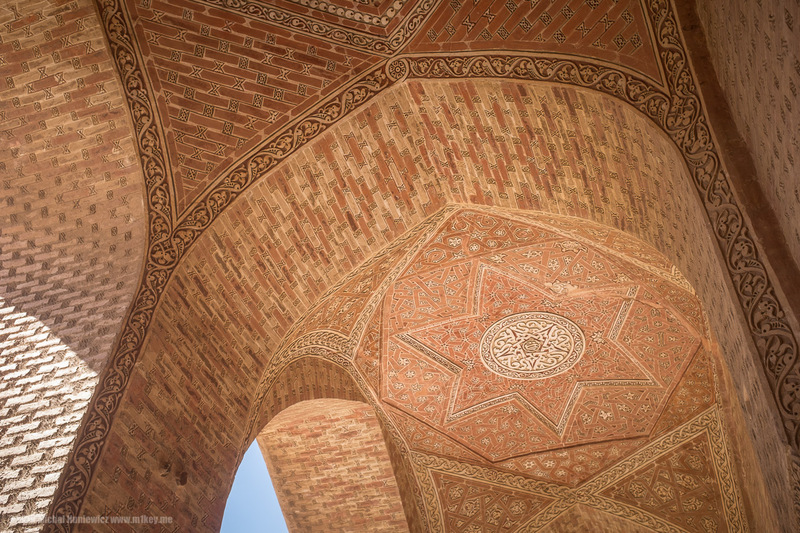 This is one of the largest brick domes in the world, anticipating Taj Mahal. ISO 100, 4mm, f/2.8, 1/1000s. 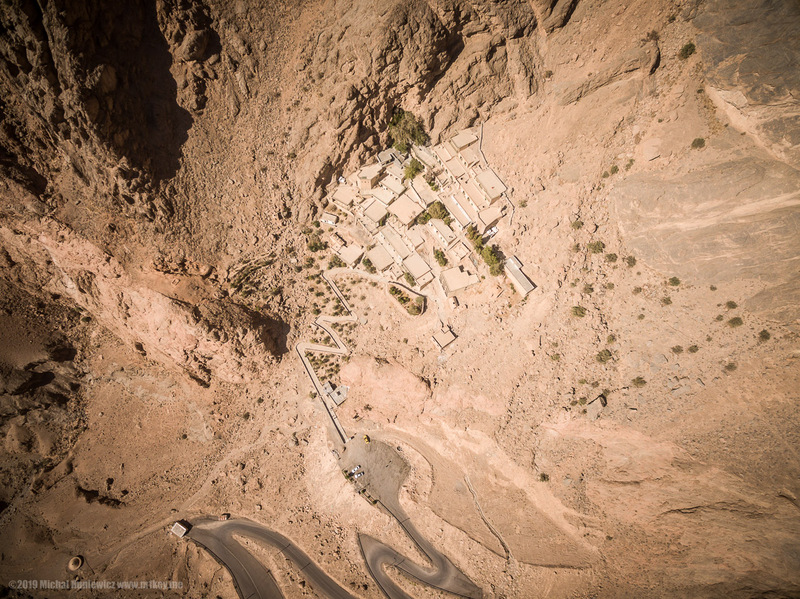 After I flew my drone in Soltaniyeh, a man showed up, took my drone without saying a word, and walked away with it. Confused, I followed him to end up in a room with a large man behind a desk who simply asked me "Espionage?". That freaked me out, so I nervously said "oh no, no, I'm good, thank you". They checked my drone photos, but were more interested in drone videos for some reason, which luckily I didn't make. They scanned my papers, and tried to install something on my phone, but it failed. They searched my phone, and a funny gif of a woman with excessive make up was showing, pretty embarrassing... 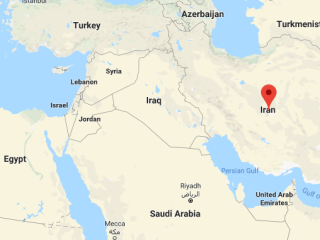 They said nothing about my VPN app to bypass Iran's firewall. One of them added me on Whatsapp, and asked for all the drone photos to be sent. For the rest of the trip, I was sending him random photos of our journey (ha ha). Eventually, someone more senior appeared, picked up something heavy from the floor ("oh my god, they will make me talk! "), put it somewhere else ("whew"), checked the photos, said the photos were really nice, and let me go. My friend took a photo of me in the room as he was waiting outside with a bribe. 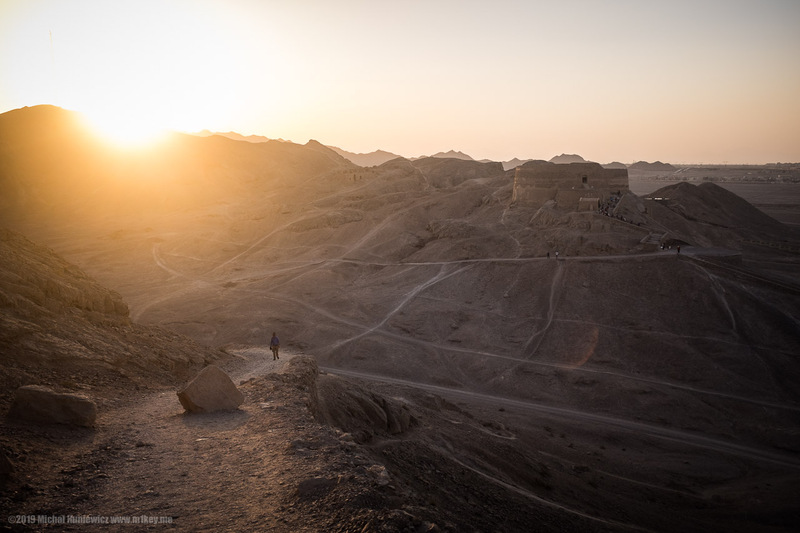 The arid landscape of Iran seen from the mausoleum. ISO 100, 56mm, f/2.8, 1/4000s. 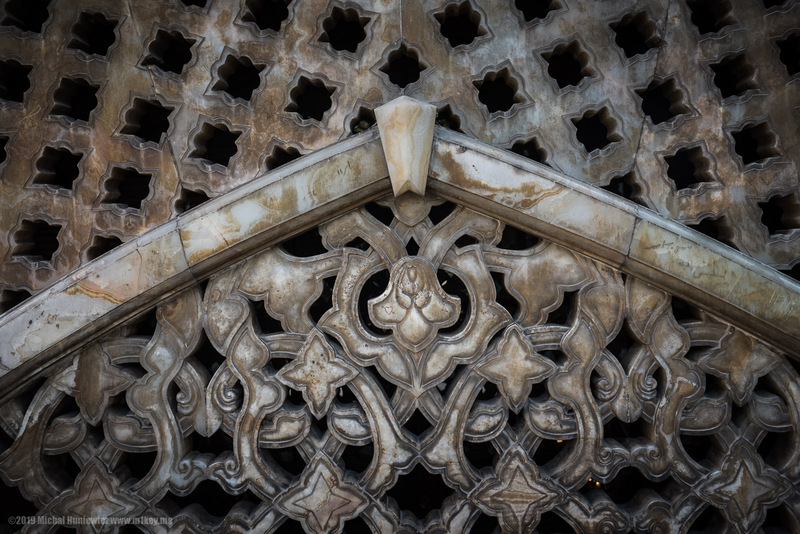 The architecture of it wasn't as sophisticated as that of Bukhara. ISO 100, 48mm, f/2.8, 1/800s. 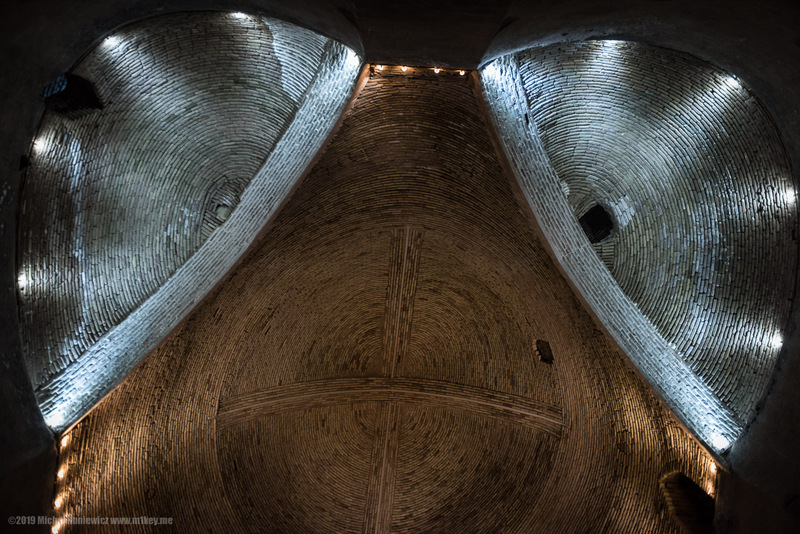 The ceiling of a Tehran mosque - horror vacui. ISO 900, 14mm, f/3.5, 1/50s. 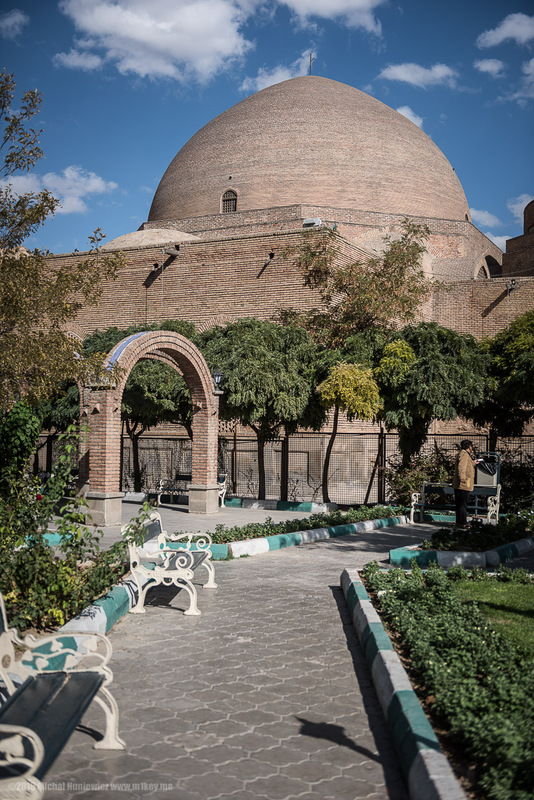 A dome in Tabriz. 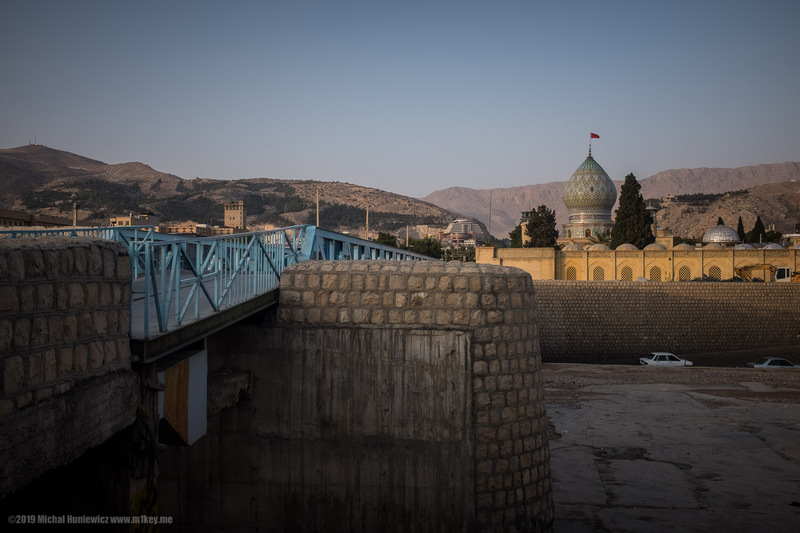 This is the mosque that has forever been in restoration since an earthquake. ISO 100, 38mm, f/2.8, 1/3200s. 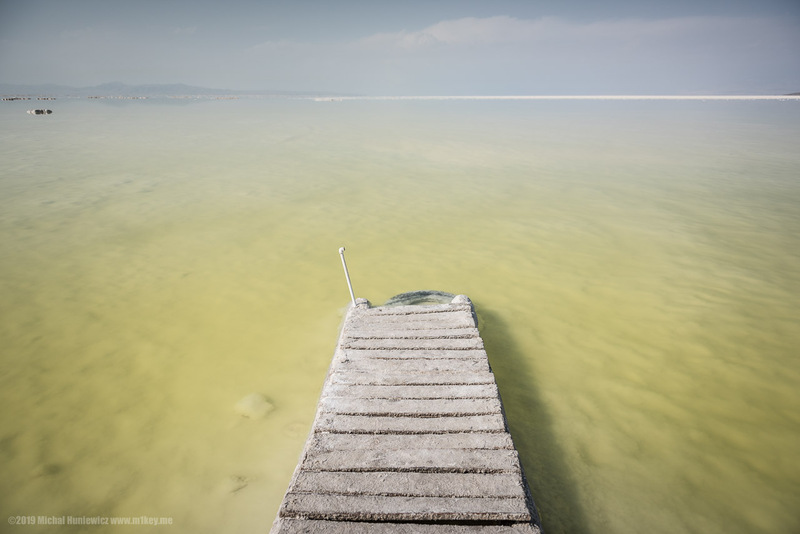 The salt lake of Urmia. 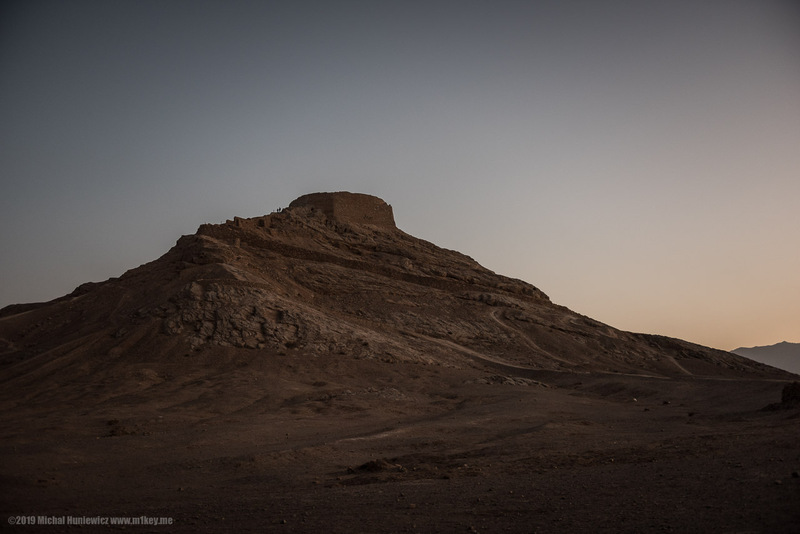 Serene landscape that distracts us from its ecological problem. ISO 100, 24mm, f/2.8, 1/3200s. 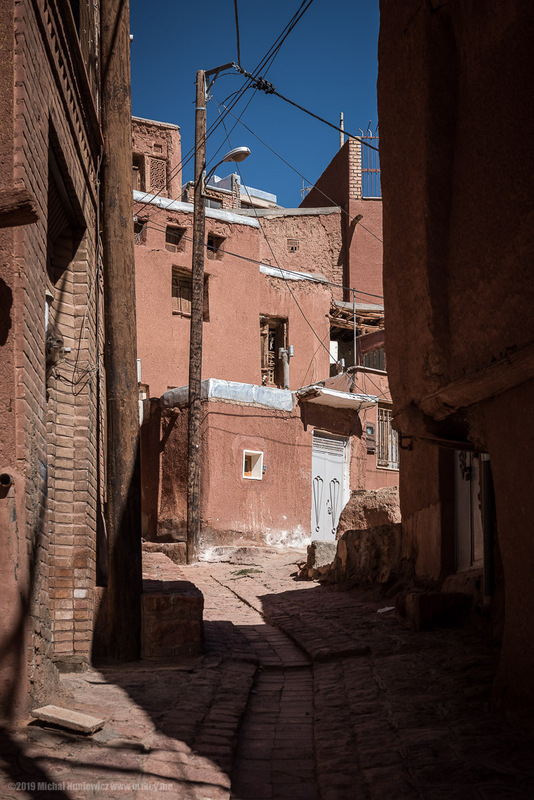 The famously photogenic village of Abyaneh. There were but a handful of domestic tourists here. ISO 100, 50mm, f/7.1, 1/400s. Its consistent colour theme reminded me of the blue city of India. ISO 200, 23mm, f/11.0, 1/105s. ISO 1400, 24mm, f/2.8, 1/50s. 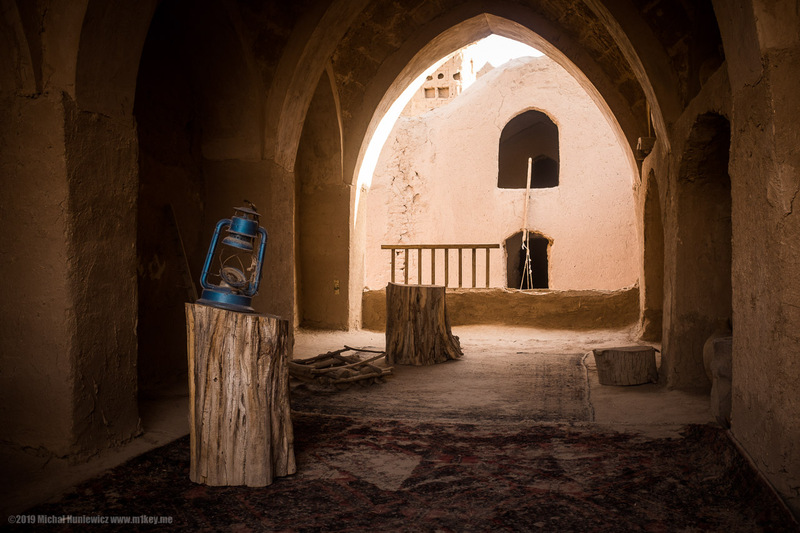 This is the place Fatemeh the photographer took us to. There was something Chinese about this mosque... It had a cool, relaxing atmosphere, and it made me think of the vast landmass beyond it to the east. ISO 100, 14mm, f/6.3, 1/250s. Landscape so different from what we saw through the car window in Kenya. ISO 100, 24mm, f/3.2, 1/3200s. 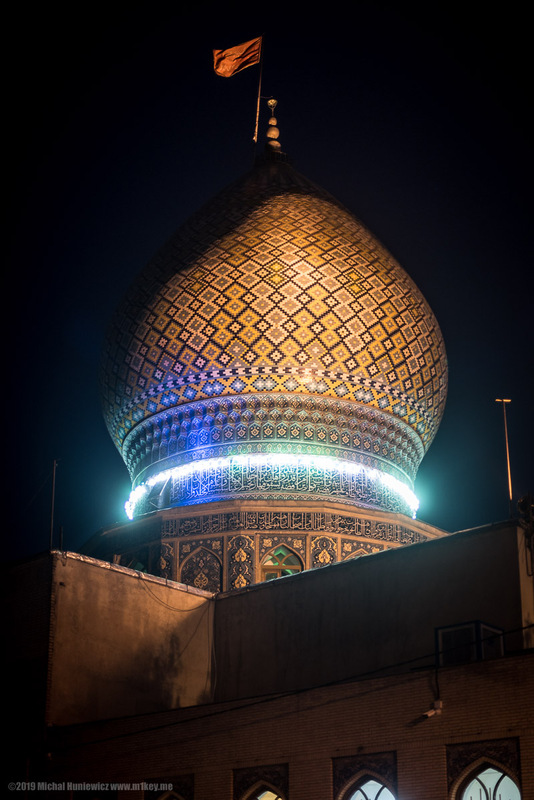 Once again, the dome reminiscent of the Uzbek ones. 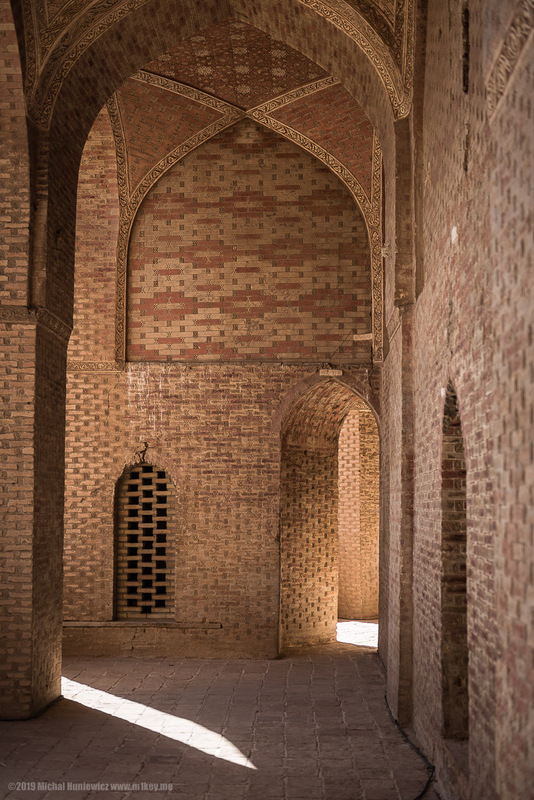 This is in Kashan, which was, I think, my favourite Iranian city. ISO 200, 23mm, f/7.1, 1/850s. 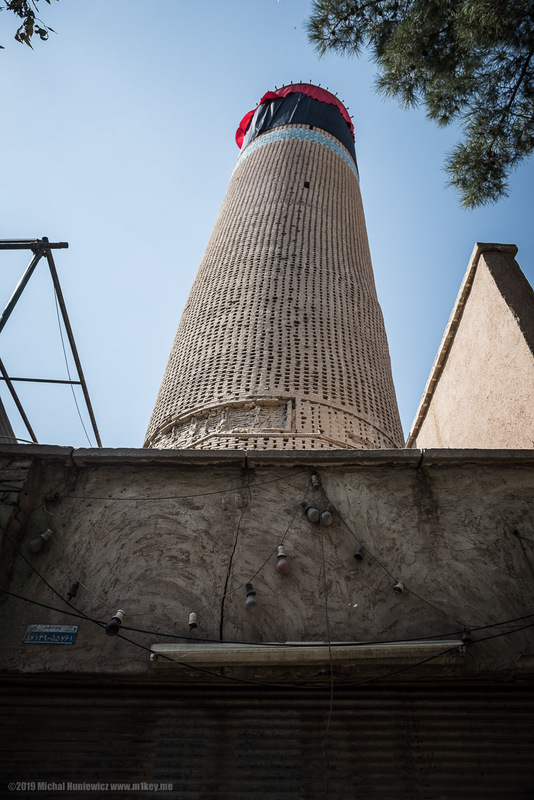 This minaret reminded me of the Chernobyl chimney. Its day seem to be numbered. ISO 100, 24mm, f/5.6, 1/400s. 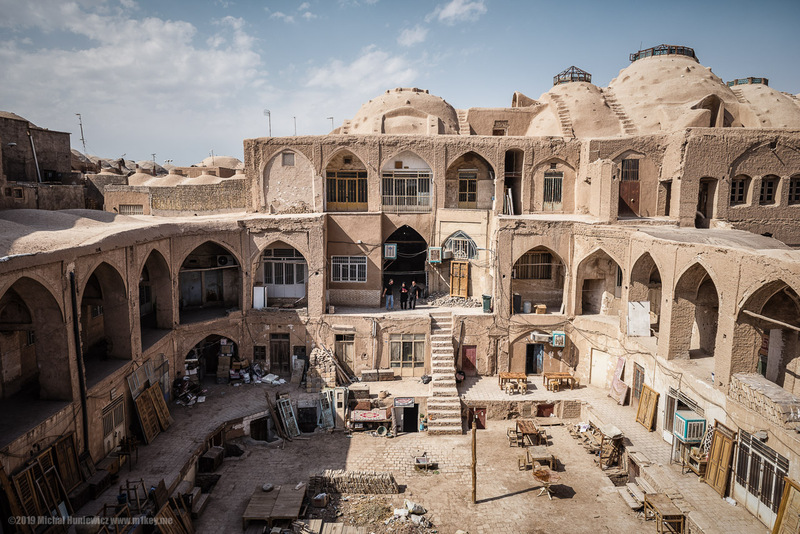 The amazing bazaar (compare to the Jerusalem one) in Kashan. The hole in the ceiling is for cooling. ISO 720, 14mm, f/5.0, 1/50s. 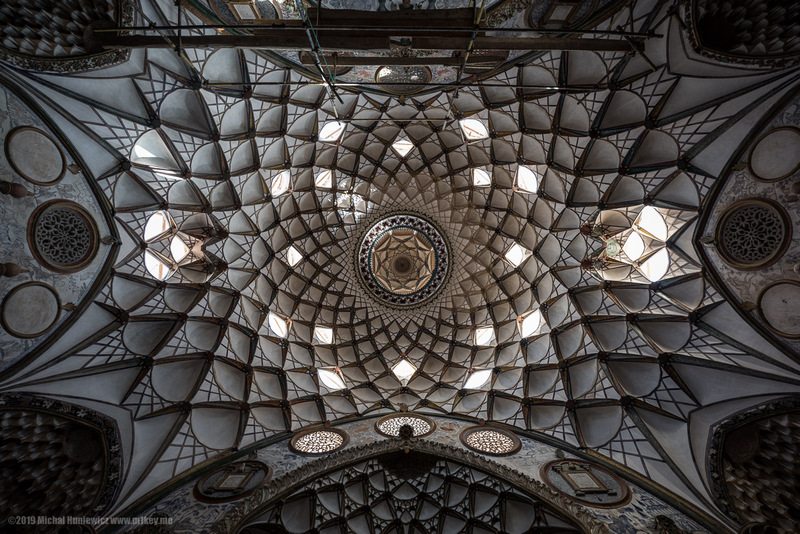 And this is the ceiling elsewhere in Kashan. Compare these to the Istanbul ones in mosques. ISO 200, 14mm, f/3.5, 1/50s. 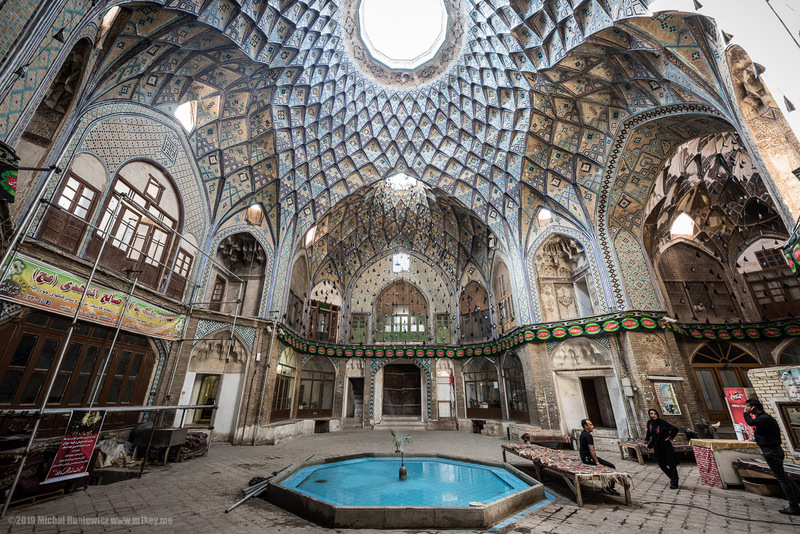 Fountain in Kashan, a bit like the Istanbul harem. ISO 2000, 14mm, f/5.0, 1/50s. 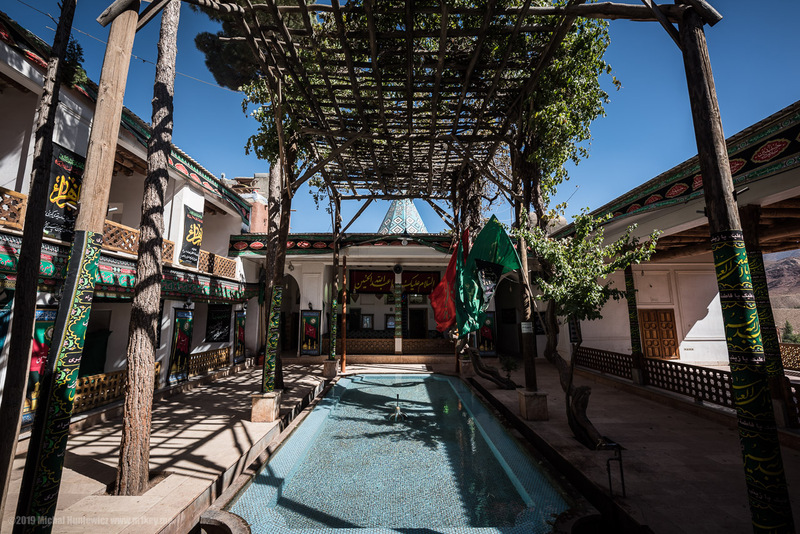 The garden in Kashan. 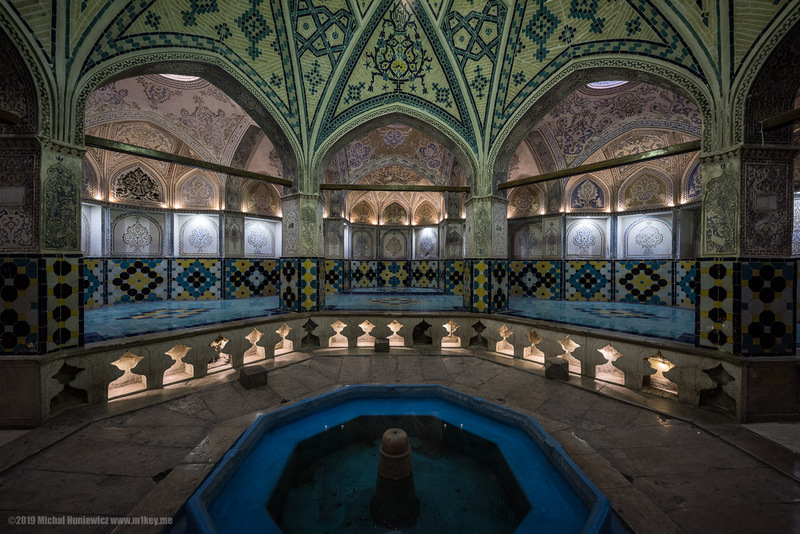 I wrote on Persian gardens earlier. ISO 100, 70mm, f/2.8, 1/250s. 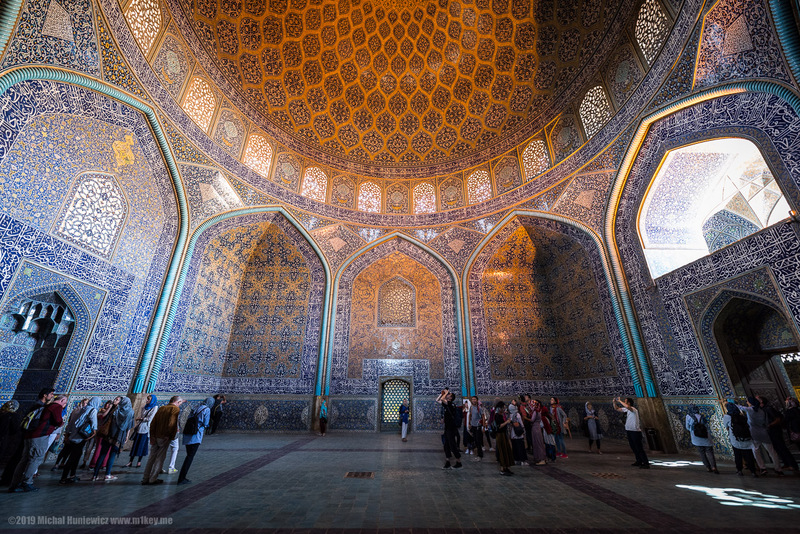 This is a fire temple in Isfahan. My friend Luca during the sunset. 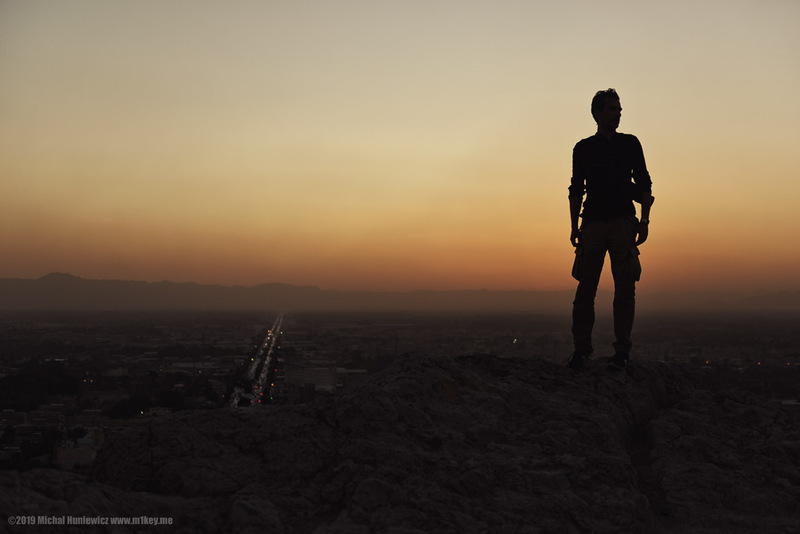 Iran descending into darkness. ISO 100, 48mm, f/2.8, 1/320s. 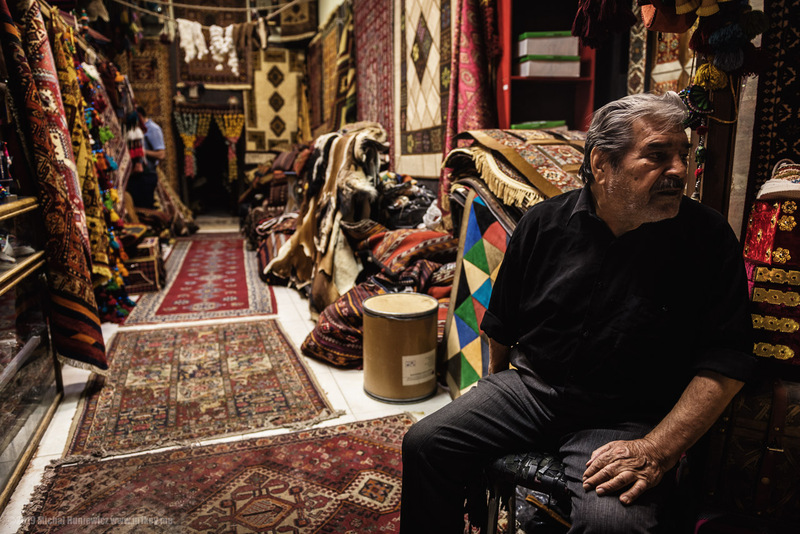 The Isfahan bazaar. Luca was busy here checking out various fabrics. ISO 280, 24mm, f/2.8, 1/50s. 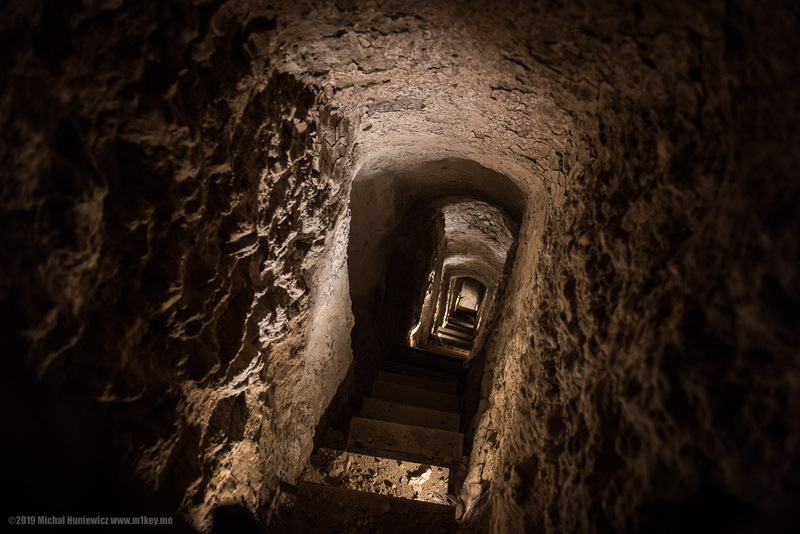 Compare this to the Nilometer in Cairo. 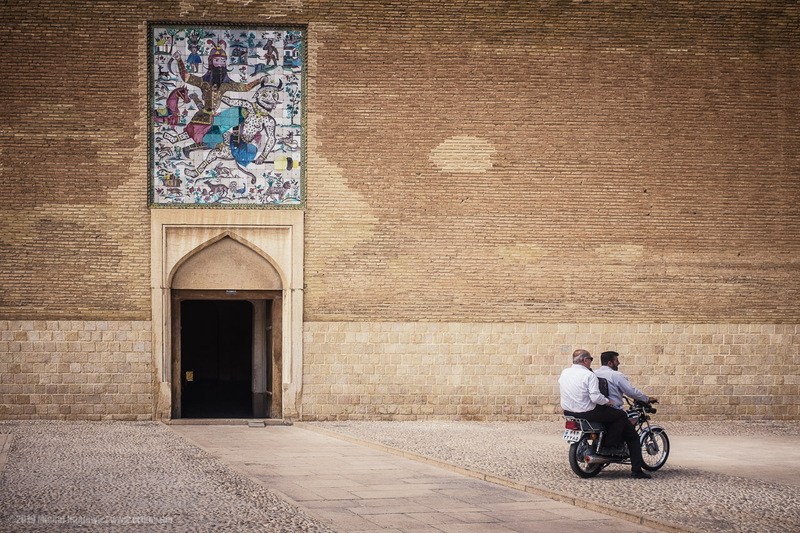 Isfahan was a popular tourist destination, and people didn't pay much attention to us. ISO 1800, 14mm, f/2.8, 1/50s. 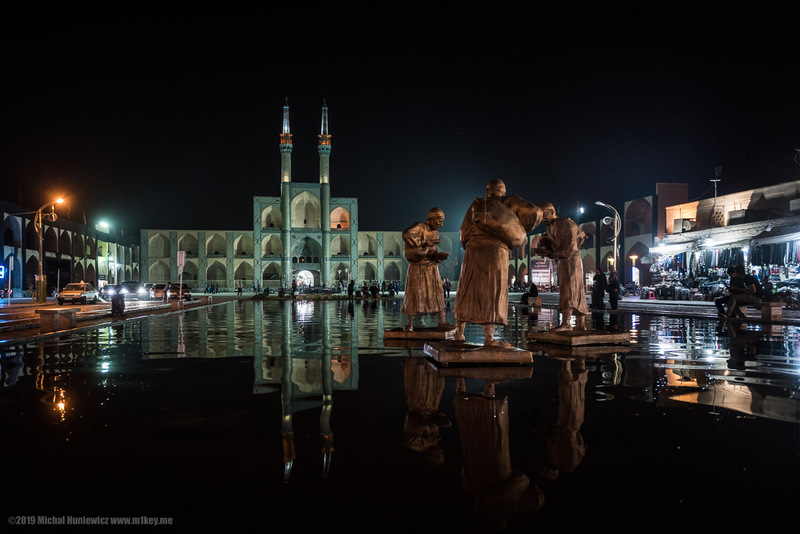 Compare it to this river in Isfahan. 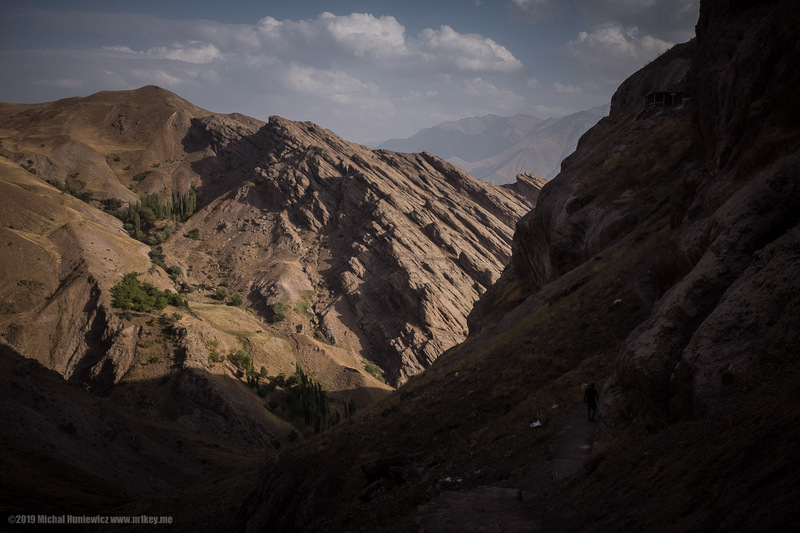 Apparently, Iranian rivers disappear due to poor management, predominantly. ISO 200, 23mm, f/4.0, 1/550s. 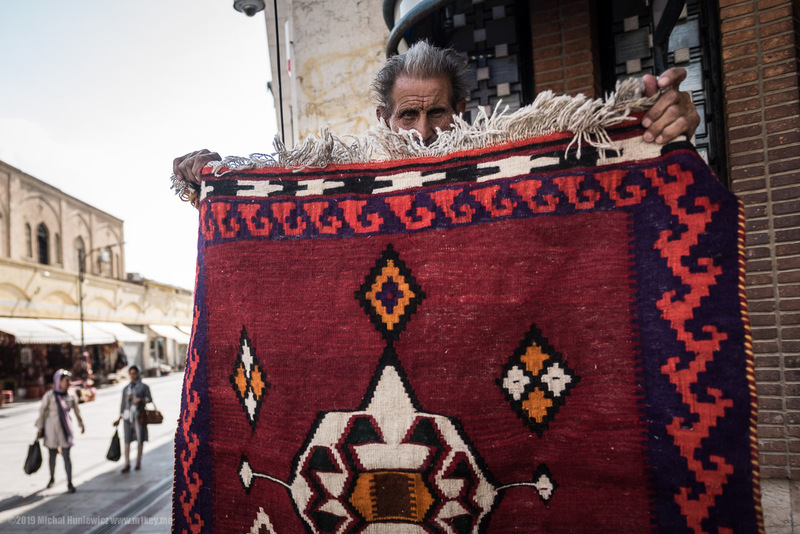 Look at the intricate carpets. 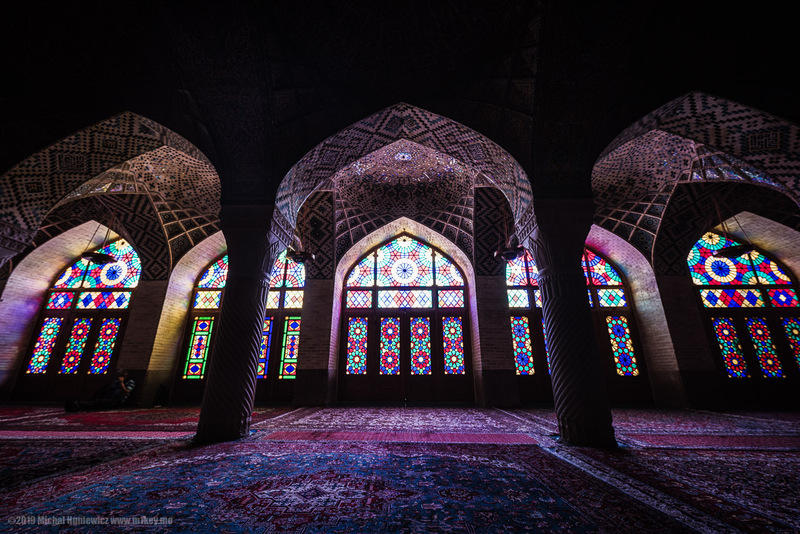 This mosque is Instagram-famous. ISO 280, 14mm, f/3.5, 1/50s. Compare this to the different Mamluk dome in Cairo. ISO 250, 50mm, f/1.4, 1/50s. 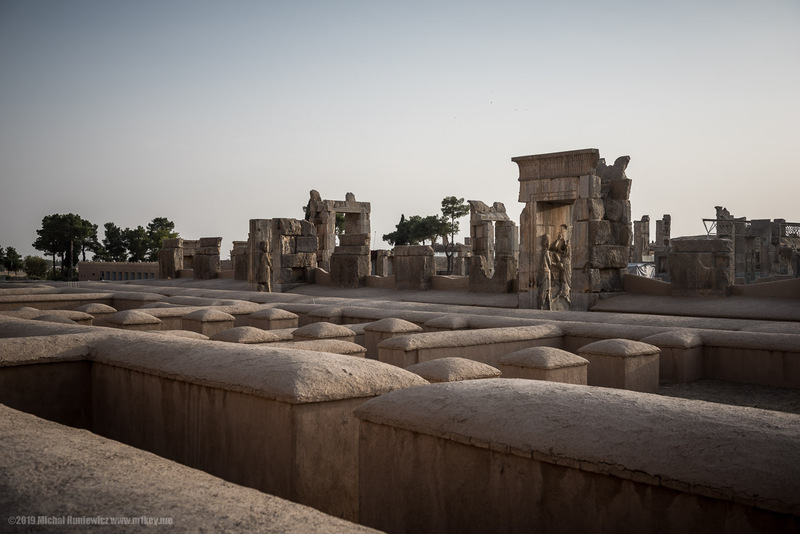 Former Persian capital, Persepolis. 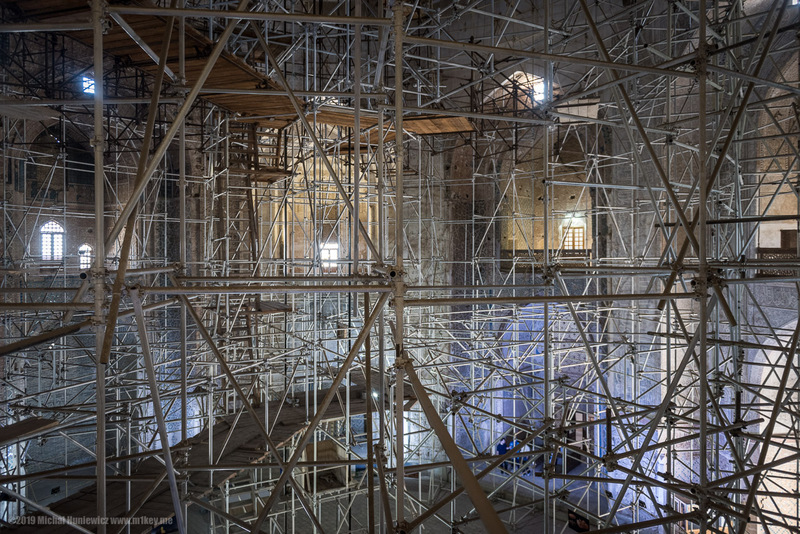 We were not sure about this restoration work. ISO 100, 38mm, f/5.6, 1/400s. ISO 200, 23mm, f/8.0, 1/250s. The man who perhaps belongs to the Iranian class of the bazaari. ISO 100, 24mm, f/2.8, 1/800s. 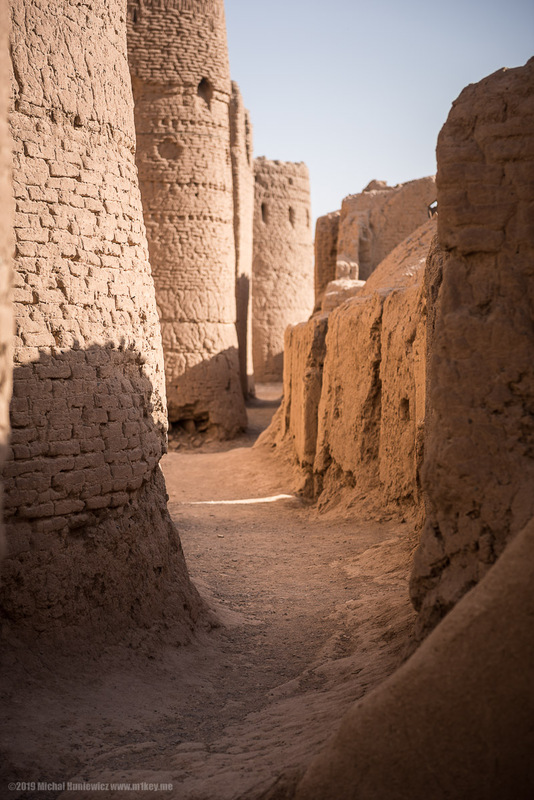 The tower of silence in Yazd - reminding me of the landscape of Egyptian pyramids. 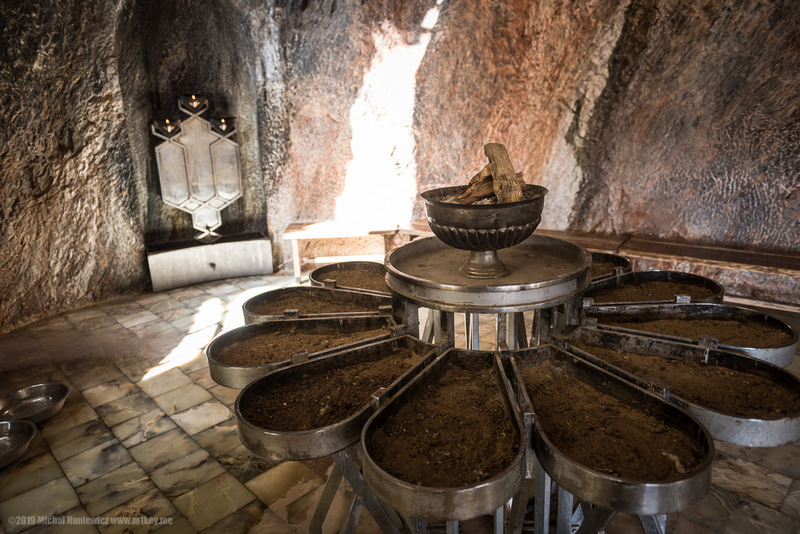 This is where they used to bring dead bodies in Zoroastrian times. ISO 200, 23mm, f/4.0, 1/420s. Whereas this brought back the memories of Mauritania. Sky burials would be performed here, where bodies would be eaten by vultures. This no longer happens in Iran, but it does happen in India, except we eat so unhealthy that the vultures have been dying out getting poisoned eating our flesh. ISO 500, 36mm, f/2.8, 1/50s. 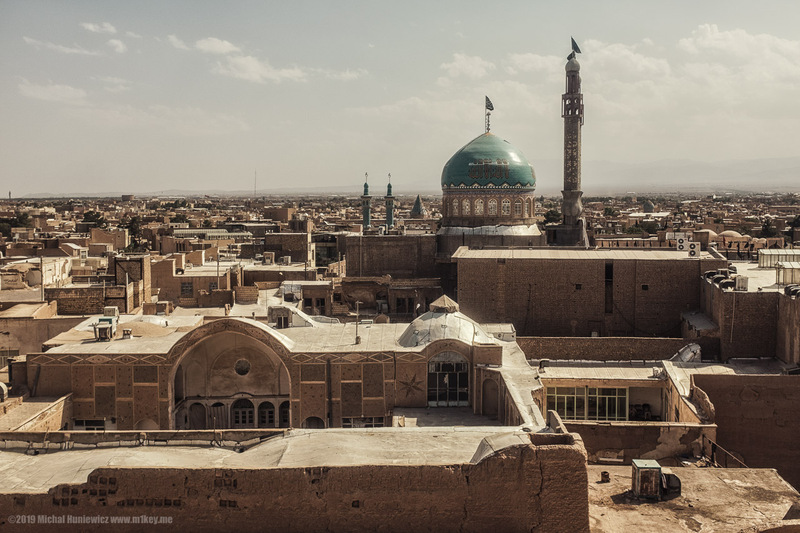 Imposing Yazd structure, quite unlike anything I've ever seen anywhere else. Those tall minarets are similar to those in Qom. 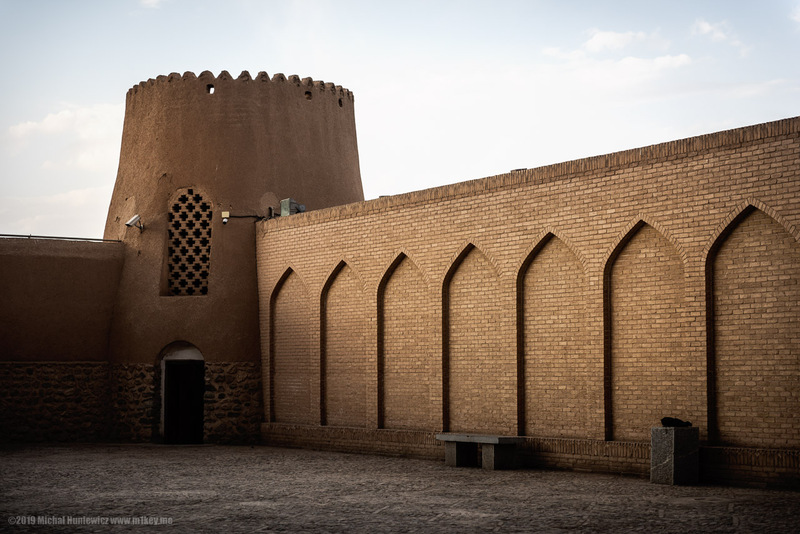 Compare these walls to the structure in Bukhara, Uzbekistan. ISO 100, 70mm, f/3.5, 1/800s. We saw the Sar Castle earlier. For a mud-based structure from antiquity, it's holding up pretty well. ISO 100, 24mm, f/4.5, 1/800s. Almost similar to the wierd reconstruction of Persepolis we saw earlier. ISO 200, 23mm, f/6.4, 1/500s. 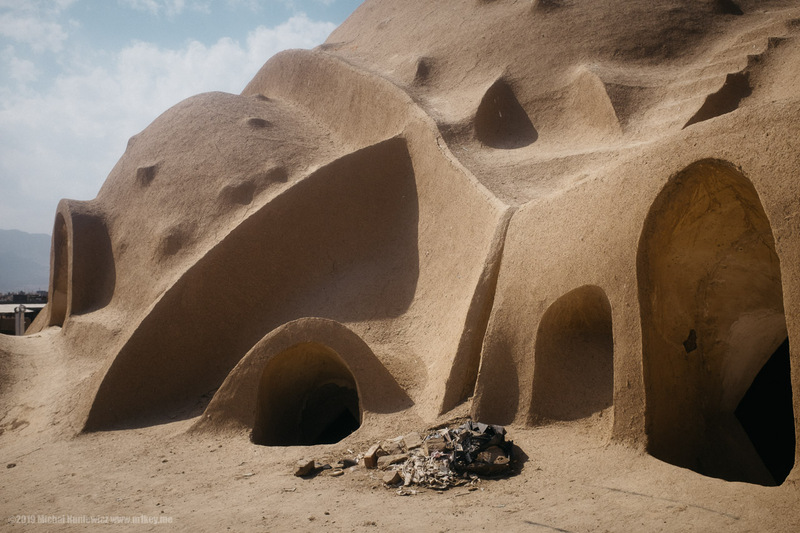 The Zoroastrian fire temple in Chak Chak. This is the flight that got me in trouble the following morning, when the police came to my hotel room while I was still asleep, asking to see my "helicopter". They searched my stuff and my photos, saying they'd been tracking me since Tehran (which later I decided was probably not true). I suspect my driver told them about the drone. Oh well. They left me alone in the end. ISO 100, 4mm, f/2.8, 1/1100s. The fire altar. Compare to this Chinese incense burner in a temple. In the fire temple, we met a man who spoke a language different to Farsi, and it was a real struggle for me to communicate with him. ISO 250, 24mm, f/2.8, 1/50s. 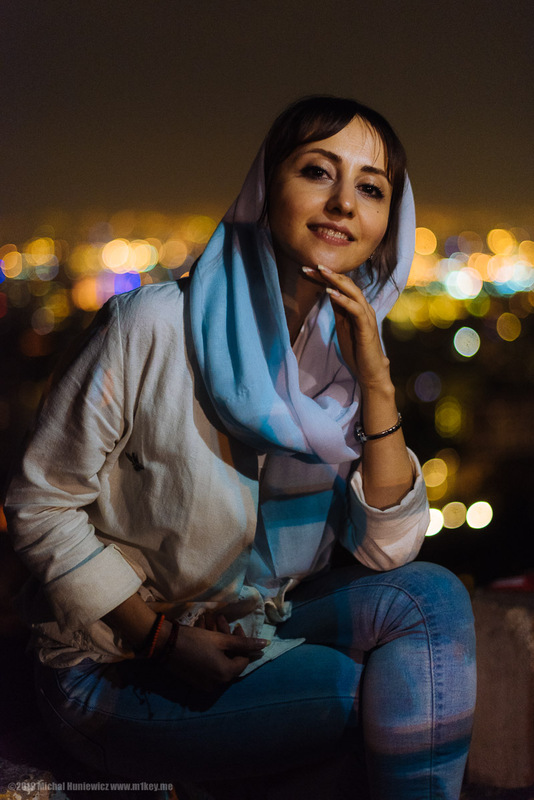 We saw Elham last in Tehran at the Tabiat Bridge. We said our goodbyes. 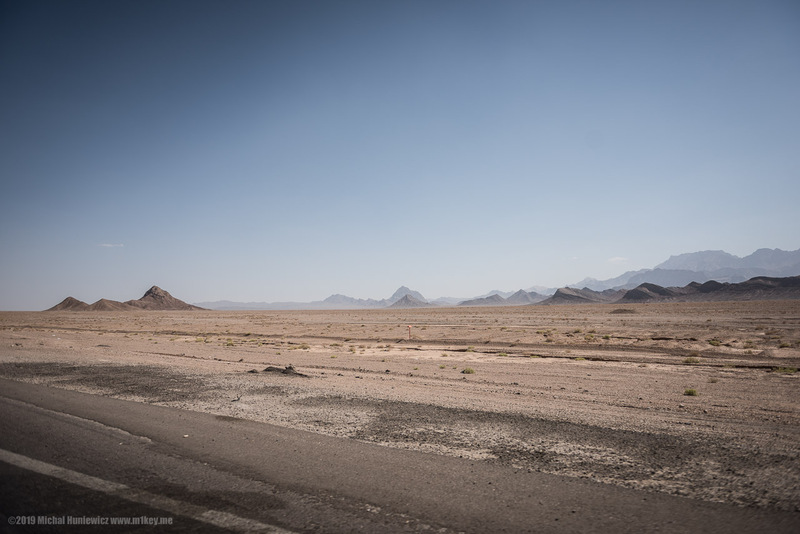 Three weeks in Iran was a long time, but we did not manage to see some of the more distant locations. Domestic flights turning out to be quite unreliable, we also underestimated the sheer size of the country. 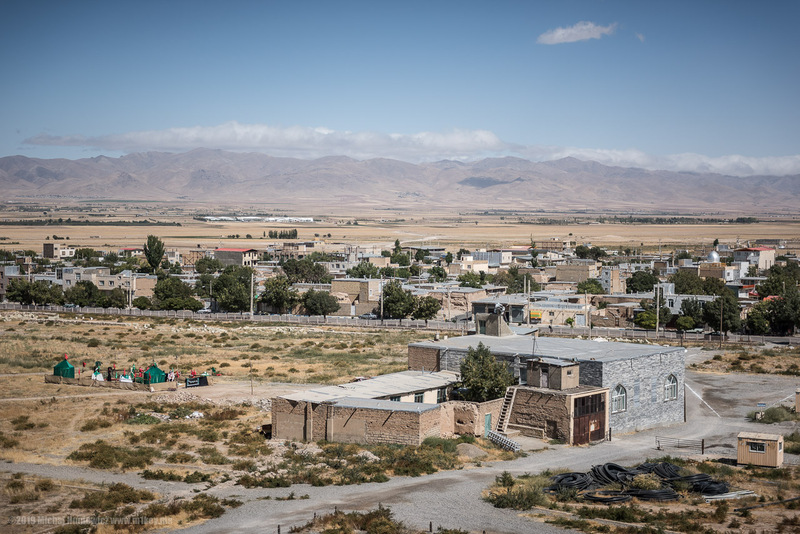 Lodged between Arabia and the Asian landmass, Iran remains a powerful player and a melting pot, if only a shadow of its once cosmopolitan self. ISO 100, 24mm, f/2.8, 1/160s.